At San Francisco Automotive Solutions, we’re confident that our Volvo repair services are the best in the San Francisco! Our highly trained technicians, quality parts, and expert service advisors are what make us your best dealership alternative. We know your vehicle is important to you, and we’re here to help improve its lifelong performance. By performing comprehensive repairs and scheduled vehicle maintenance services, we help keep you and your Volvo safely on the road. Our trained Service Advisors understand your Volvo vehicle and are excellent listeners. Each time you visit us, our goal is to provide a consistent service experience – right down to dealing with the same Service Advisor. We have the complete, state-of-the-art Volvo diagnostic suite of service equipment on our premises to handle service and diagnosis on even the newest Volvo models. Our Volvo technicians use this equipment everyday to accurately and properly diagnose and service all Volvo car repairs. Our capabilities are not limited, we can perform the latest software downloads, and service all aspects of your Volvo, saving you a trip back to the dealer. No one understands how to repair and maintain your Volvo like our San Francisco Automotive Solutions Volvo Service Technicians. Our Volvo specialists must complete a wide assortment of training courses and programs. From minor maintenance, to the most complex Volvo diagnostic service work and repair, our staff will do it right the first time, on time, and on quote, guaranteed! We have the right tires for your Volvo. And with San Francisco Automotive Solutions’s national buying power, we offer them at a competitive price! 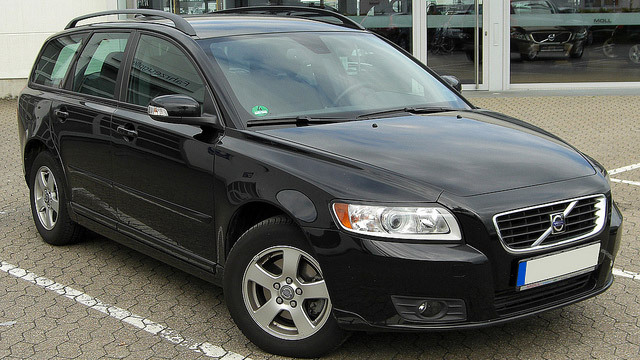 San Francisco Automotive Solutions has been servicing all models of Volvo automobiles since 1991. Through our experience, we know how to service and maintain any Volvo vehicle, from timeless classics to the very newest Volvo models! Just because you own a new Volvo car under warranty does not mean you have to miss out on San Francisco Automotive Solutions’s services! We can perform your required or necessary maintenance services while your car is still under factory warranty. We will stamp your maintenance book and use only factory approved parts and lubricants. Should a defect be discovered that falls under your new car warranty, we will inform you of this, notate the problem on our service order, and even call the new car dealer to explain the problem and schedule an appointment. While your Volvo may last your lifetime, it still needs routine maintenance and auto repair services. That’s where our Volvo specialists come in! Our technicians are educated in the Volvo engine and all of the vehicle’s functions. We are the Volvo auto repair specialists in San Francisco! So whether your Volvo needs an oil change, scheduled maintenance service, brake repair, or more, the Volvo specialists at San Francisco Automotive Solutions are here to help!